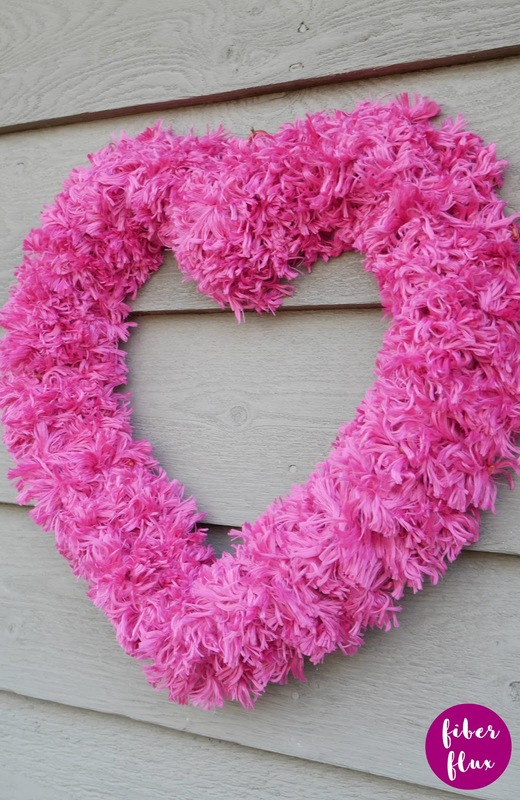 Need a fun and fast (and yarny) Valentine wreath? I've got you covered! 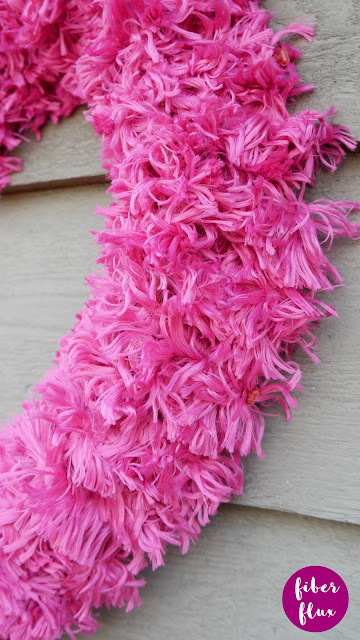 Using fluffy (faux) fur yarn and a repurposed wreath form, I made this cutie in minutes! Plus it used LESS than one ball of yarn...awesome! I love the look of mine with nothing else on it, but you could also add a pretty bow, or other decorative elements to personalize it for your home. 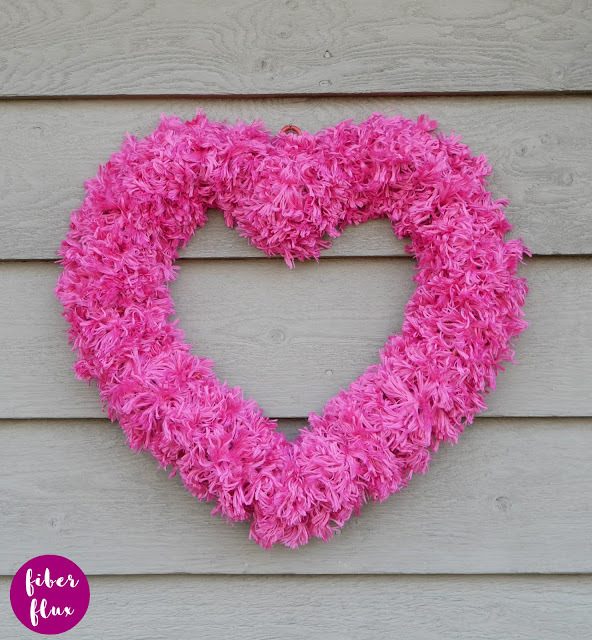 Scroll down to see how I made mine with a repurposed wreath form and for lots more Valentine project ideas too! Need a little extra help? There's a full video tutorial too! *Size may vary according to the wreath form you choose. Note: Check out the video to watch how I make the wreath step by step, including how I re-purposed a wreath form! Tie yarn around wreath form to get started. When you're finished wrapping, tie the two ends together. Add a hanging loop using the same or matching piece of yarn. Add a bow or other decorations as desired. Hang for a beautiful yarny Valentine decoration! 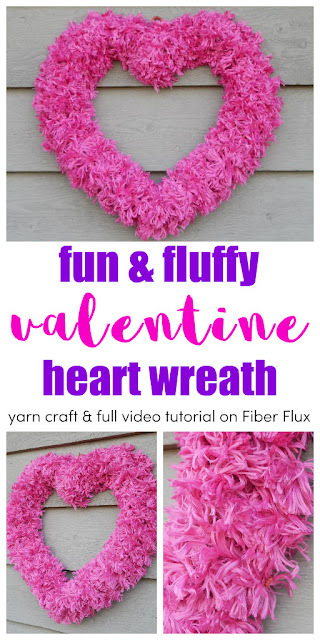 For more fun projects and pretty patterns, be sure to follow Fiber Flux on Facebook, Instagram, Twitter, and Pinterest for the latest updates! Your new project for Valentine's Day so amazing 👌 that I wish to include one of your pictures in a Round-Up of Crochet Projects for Valentine's Day that I'm going to publish soon in my blog. Of course, I will attach the appropriate link to your blog.